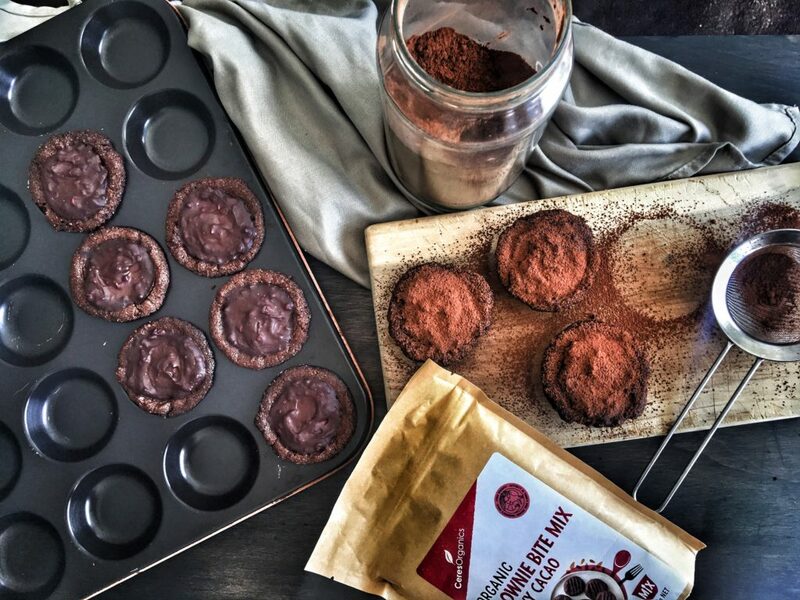 ﻿ Brownie Bite Vegan Chocolate Tarts - I AM Co.
With Easter early here we wanted to get a little creative in the kitchen with some chocolate goodness. We’ve used Ceres Organics Brownie Bite Mix for the tart shells and it worked brilliantly! Pre-heat the oven to 180C. Grease individual tart tins/muffin tins or one big tart tin. Following the instructions on the back of the Ceres Organics Brownie Bite Mix packet, create the brownie mix (we’ve listed the ingredients above). Using wet hands, press the mix into the base and sides on the tart tin. Bake in the preheated oven for 10min. Set aside to cool. Place the milk, sugar and water into a saucepan. Using a couple of tablespoons of this, mix together in a seperate bowl with the cornflour. Once simmering, reduce heat to low and mix in the cornflour. Whisk until smooth. Turn the heat off and break in the chocolate. Allow this to melt and mix to combine. Fill each tart case with the chocolate filling and allow to set in the fridge for 2 hours.